Most people have found themselves in a financial bind at some point. Whether it’s a vehicle that has broken down, a medical emergency, or an unexpectedly meager paycheck — expenses still have to be paid. Most payday loans want their money returned within a week or two at the most. With Eastern Loans, however, you have the option of repaying the loan within seven days, 14 days, 30 days, or even longer. This gives you the time you need to repay the loan on your terms, without putting a further burden on your financial situation. Many payday loans want all of their money back in a lump sum, and only give you a week or two to pay the money back, with heavy added fees. With Eastern Loans, you can choose the repayment schedule that works for you, and the payment installments are based on your borrowed amount, plus any fees that are owed. This could be significantly lower than having to pay other payday loan companies. Just because you have bad credit doesn’t mean that you should be excluded from receiving a short-term payday loan. At Eastern Loans, we understand this, so we do not run a credit check on borrowers. Our only requirements are that you have to have a steady income, at least $1200 per month in earnings, that you are a Canadian Citizen, and a few other small requirements. One of the reasons you’re searching for a payday loan is that you need money fast. 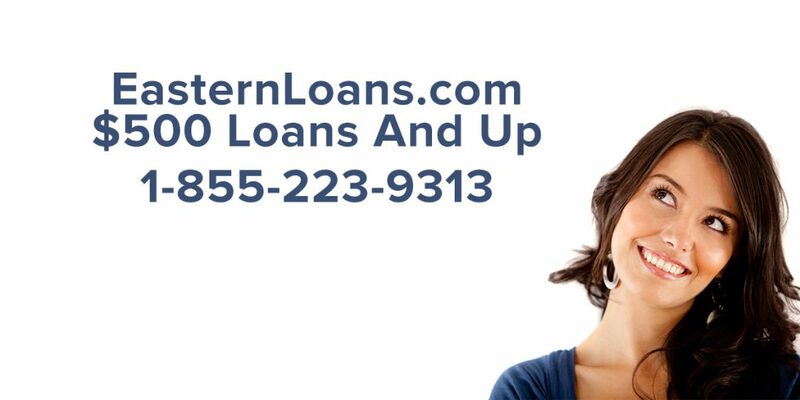 With Eastern Loans, you will have same-day direct deposit. There’s no waiting around in hopes that you’ll find out if you qualify, because you’ll know within minutes. As long as it’s before 10:30 AM EST and not a holiday, you’ll get your money on the same day you ask to borrow it. All of your information is kept safe, secure, and confidential, so you needn’t worry about your information becoming public. We take your privacy seriously. If you want to learn more, or you are in need of a fast and secure loan, contact us. We can help you get the money you need.or to apply today.